(JTA) — The Nazi punching debate (is it OK to punch a Nazi?) went viral in January after a liberal protester slugged white supremacist Richard Spencer in the face during President Donald Trump’s inauguration. It was reignited this month following brawls between far-right nationalists gathered in Charlottesville, Virginia, and counterprotesters, including some associated with the combative antifa movement. Although most eyewitness accounts of the events in Charlottesville pin much of the blame for the violence on the far-right marchers, and a counterprotester was killed by a car driven by a suspected white supremacist, critics like attorney Alan Dershowitz disapproved of the “anti-fascists” who showed up at the rallies. But whether it’s OK to confront hatred with violence is not a new topic of conversation. The question was debated in the 1930s among American Jews, who were faced with both the rise of Adolf Hitler in Germany and Nazi sympathizers at home. 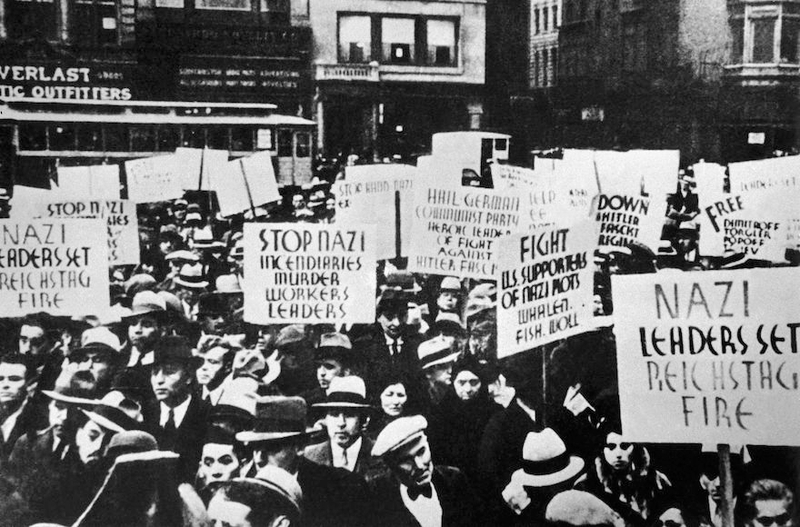 Following Hitler’s rise to power in 1933, Jews in Newark saw Nazi-sympathizers marching down their city’s streets. “The threats they faced were physical because the Nazis were marching in uniform. Many of them were armed. They broke windows, and they attacked merchants, but never with fatal consequences,” Grover said of residents of the city’s Third Ward neighborhood, where many Jews and Nazi supporters lived side by side. Nazis also screened movies with anti-Semitic messages and hung anti-Jewish posters in the city, Grover told JTA. At a local election in bordering Irvington, they plastered posters across the city urging residents not to vote for Jewish candidates. In response, Jews started organizing to defend themselves. Across the country, Jews would fight Nazis on an ad hoc basis. But in Newark, a more organized group emerged: the Minutemen. 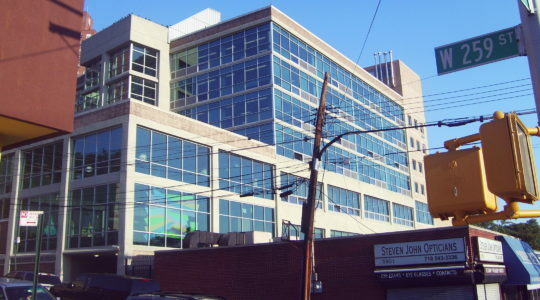 Jewish mobster Meyer Lansky had started the group in New York, but the Minutemen were shut down there by the authorities after some Jews reported them, fearing the use of violence would lead to an increase in anti-Semitism. Though the Minutemen were “cheered and accepted by the majority of the Newark Jewish population,” Grover said, not everyone was enthusiastic. 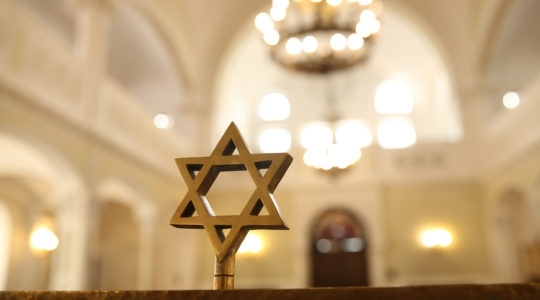 Some Jews, especially those affiliated with Reform synagogues, “felt it gave Jews a bad name to be engaged in brawling, and they felt the government would take care of it,” he said. Those who opposed the group tended not to live in the Third Ward. Yet the mostly Jewish group, which also had a few Irish and Italian members, became a powerful tool to fight Hitler sympathizers. The Minutemen boosted Jewish morale. Ultimately, Grover said, the group served its purpose: deterring Nazis from organizing in Newark.